To celebrate the opening of its new Beijing Global Gateway location at the Genesis Beijing building, the University of Notre Dame is holding a series of inauguration events Saturday, October 14, to welcome faculty, students, alumni, families, and partners in China. Activities will include a panel discussion featuring prominent leaders in business and higher education from the U.S. and China titled, “Building Future Communities,” as well as a performance by the Notre Dame Handbell Choir and a celebratory Mass. 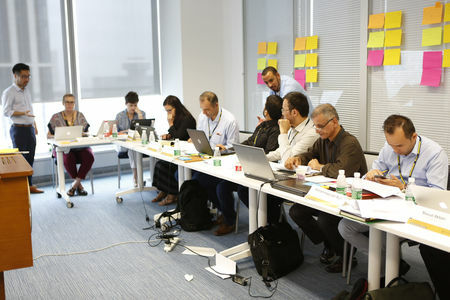 Since 2010, Noble has been building Notre Dame’s academic reputation and network of partners in the region. Notre Dame has forged academic cooperation agreements with a number of leading universities in Greater China, including University of Hong Kong, Tsinghua University, and Peking University. Noble and colleagues have developed a wide range of programs for students, including options focused on Chinese language and society, business, engineering, and service learning in Beijing, Shanghai, Hong Kong, and Guizhou. Notre Dame students also have additional professional opportunities thanks to programming between the Beijing Global Gateway and multi-nationals such as IBM and Xiaomi. Working closely with China’s Ministry of Education, the Gateway has provided opportunities including training programs for university administrators and scholarships for doctoral and post-doctoral students. Scholarships for Chinese students who wish to attend Notre Dame are also available, thanks to the Greater China Scholars Program. Since 2011, 58 students from 31 cities across China have benefited from scholarships and academic enrichment programs which are supported by a cohort of Notre Dame alumni, parents and friends. 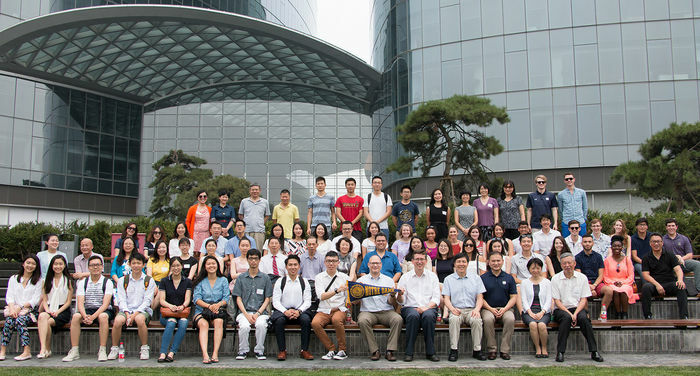 More recently, Notre Dame launched the alumni-funded Greater China Collaboration Grant program which provides funding for faculty to conduct research with scholars in Greater China and share research findings at the Beijing Global Gateway. The inauguration of the new Beijing Global Gateway location in the Chaoyang District, near foreign embassies and the Central Business District, will further enhance opportunities for collaboration with government, academic, and multinational organizations. Since its doors opened in May, the Gateway has hosted Fulbright scholars, panel discussions, and meetings between Notre Dame and Balkh University (Afghanistan) as they develop a master’s program in finance and accountancy for Balkh, funded by a USAID grant. In June, nearly 40 Notre Dame students, alumni and parents visited the Gateway as part of the first summer celebration and forum co-sponsored with the Liu Institute for Asia & Asian Studies. One of Notre Dame’s key partners in its growing Chinese network is Genesis Beijing, a community development project that shares Notre Dame’s commitment to developing intellectual communities focused on serving the common good. 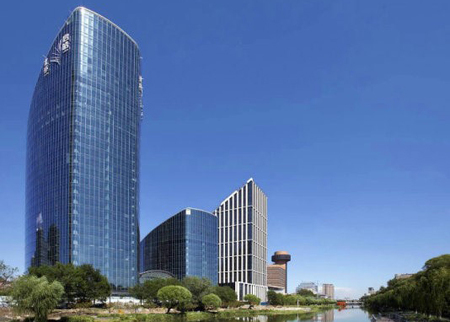 Genesis Beijing now houses the Beijing Global Gateway and provides a social workplace complete with public gardens, atriums, and club facilities where Notre Dame can host regional partners, and where there is space to communicate and collaborate. Noble said the Beijing Global Gateway and Genesis Beijing have a shared vision to connect scholarship, knowledge, and values to the larger society through scholarly engagement and community organization. “By being located within the Genesis Beijing community, we are blessed to contribute to the community’s intellectual, cultural, and spiritual activities and have access to the community’s art museum, canal-side amphitheater, and regular activities with thought leaders, artists, and community organizers,” Noble said. At the October 14 inauguration events, Notre Dame will welcome many important partners, including Duan, Robert Liu, founding benefactor of the Liu Institute for Asia & Asian Studies, Rachel Duan, president & CEO of GE China, and Liu De, co-founder of Xiaomi, one of China’s largest private start-ups. The opening will also provide an opportunity to celebrate Notre Dame’s accomplishments of the past seven years and to look ahead to the exciting projects and relationships to come. The new Beijing Global Gateway has already become a home for collaboration, experience, and conversation. As Notre Dame becomes an even more global university and a leader on the world stage, its productive presence at the Beijing Global Gateway will continue to provide rich opportunities for its scholars and community. To join the University community in celebrating the Beijing Global Gateway inauguration, please RSVP here. Originally published by Tara McMullen at international.nd.edu on September 11, 2017.